We realise September is a costly time for many families with the kids back to school and their various after-school activities. 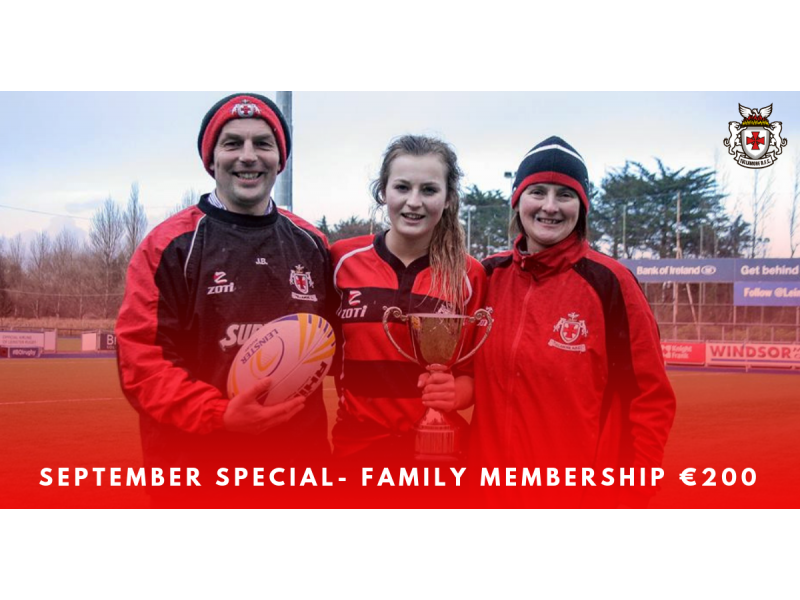 In a bid to make life easier, we've reduced the price of family membership from €240 to €200 for the month of September only! 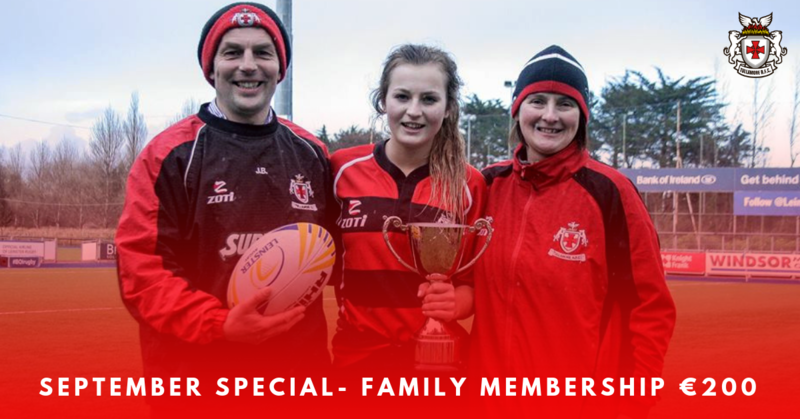 This means that a family of up to 2 adults and any number of kids from the one family (once they're u18) can all register as club members. Registering as a club member doesn't tie you into a contract to become a coach or player, it simply means that you can enjoy our clubhouse facilities and have the opportunity to apply for access to international rugby tickets for the 6 Nations and Autumn Internationals.